I thoroughly enjoyed this book, even the squeamish parts. Chapter by chapter, McDermid explains the history and modern application of different aspects of forensic science. 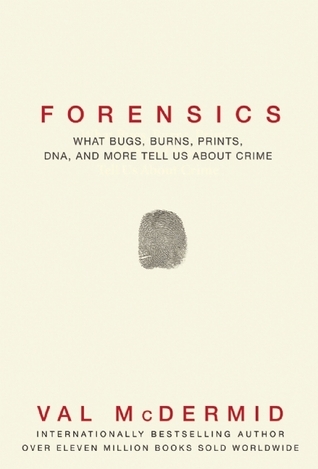 Each facet of forensics gets a chapter explaining how it works, what it can help prove, and tracing its development from the first uses, to modern applications at crime scenes. Fingerprinting, forensic pathology, DNA testing, forensic psychology, even cybercrime get their due. McDermid presents interviews with experts in the field, as well as retellings of past crimes, to do a terrific job of showing the science in action, and creating a narrative voice that was as engrossing as any crime novel. Ordinarily, I feel conflicted about forensics, because I’m both fascinated by the science and exceedingly squeamish. Yes, I admit there were a few passages that I read haltingly and flinchingly. (The chapters on entomology and forensic pathology had several shuddery moments each. Bugs and putrefaction, yikes!) I admit I skimmed a few paragraphs when things got a little too… squishy. Overall, though, the combination of history, interview and great, clear writing served to help me focus on all the interesting things I was learning about the development of the science and legal procedures, and the people who have made discoveries, or made their careers in this field. In particular, I was interested in learning how forensic psychology and profiling really work. I see them used as plot aspects on the various crime dramas I watch, but hadn’t really understood what that meant in practice until now. Charles Norris set up the first organized medical examiner system in 1918, in New York City. Rigor mortis progresses from head to feet. There are 800 bones in a young child’s skeleton. They fuse with age, down to 206 in an adult. As part of their training, medical students at Leeds University in the 1960’s were encouraged to experiment with drugs and monitor their effects on themselves and their classmates. 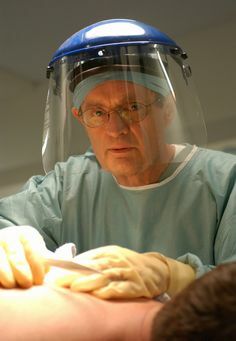 This did not end well, for at least one medical student, Harold Francis Shipman, who went on to become addicted. And also do lots of murdering. A Virtual Autopsy simulator has been developed in Switzerland, using CT and MRI technology to make a 3-D computer graphic model. So, less cutting the corpse, and more opportunity for better magnification and clarity of imaging of trauma and other trace evidence. A serial killer can usually be found living with a triangle formed by the sites of his first three murders. Related: geographical profiling is an aspect of forensic psychology.